Simon Porte Jacquemus might love his oversized straw hats, but when it comes to the bags department, he clearly has a penchant for all things small and petite. Just take a look at his mini, no, teeny tiny Le Chiquito purse finished with a just a J, which served as a show invite for his Fall-Winter 2019 collection earlier this year. Fitting snugly in the palm of one’s hands and worn around the finger tips is exactly how one should style the little wonder. But small does not necessarily translate to frivolous over at the house of Jacquemus, with the Le Bello proving just that. Rendered in an embossed croc-effect leather, the mini bag comes in at just 11.5 cm wide and 9 cm high, but is fitted with 2 card slots in the interior, which is sufficient for those of you who rely on a card or two for your daily usage and are all about going cash-free. The good news? You can still fit a lipstick or lip balm within, making it a fuss-free (and pretty) piece to take out with you on your night out. 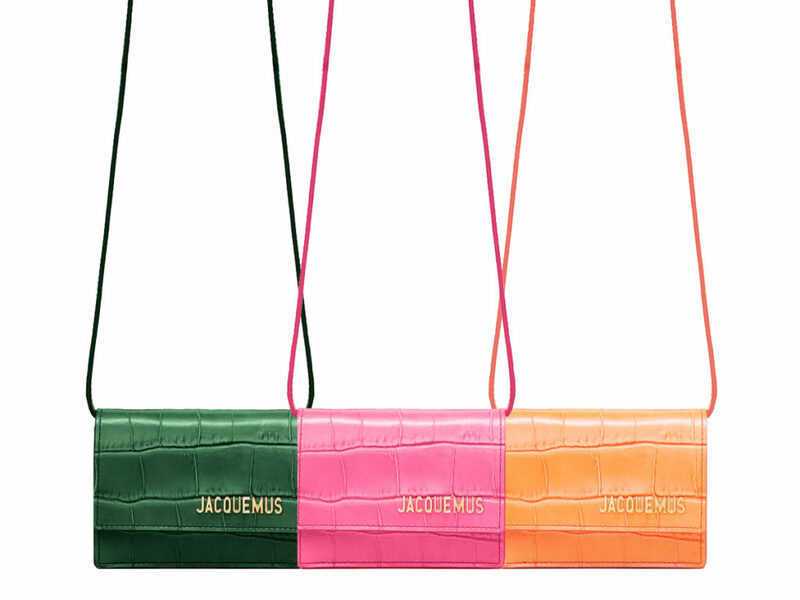 Available in Dark Green, Orange and Pink, the Le Bello is priced at USD324 each, and one you can purchase directly from Jacquemus’ e-store over here. But if you’re all set on the bright pink, there’s one over at Mytheresa, where it is priced at SGD379.